Cirque du Soleil returns to Vancouver on October 19th to present KURIOS – Cabinet of Curiosities under the big top at Concord Pacific Place, and tickets went on sale this morning. In his larger-than-life curio cabinet, the Seeker is convinced that there exists a hidden world – a place where the craziest ideas and the grandest dreams await. A collection of otherworldly characters suddenly steps into his makeshift mechanical world. When the outlandish, benevolent characters turn his world upside down with a touch of poetry and humor, his curios jump to life one by one before his very eyes. 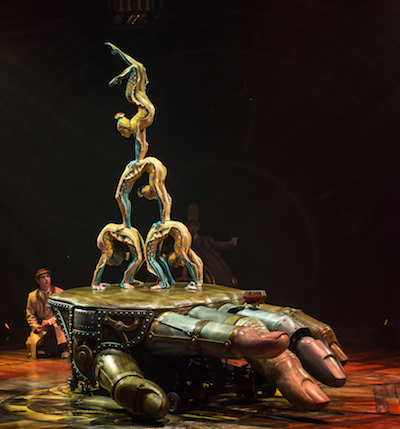 Written and directed by Michel Laprise, KURIOS is a tale in which time comes to a complete stop, transporting the audience inside a fantasy world where everything is possible. In this realm set in the latter half of the nineteenth century, reality is quite relative indeed as our perception of it is utterly transformed. Purchase tickets online or by calling 1-877-9CIRQUE (1-877-924-7783). Ticket prices start from $49. Access to the best seats can be obtained by signing up online for complimentary membership to the Cirque Club. Members receive advance access to the best seats under the Big Top, deals and discounts for tickets, promotions with our partners and a chance to experience never-before seen exclusive Cirque du Soleil content. 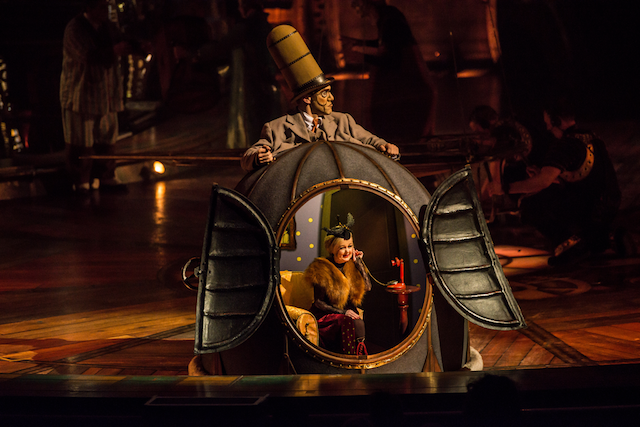 Follow the cast and crew of KURIOS on tour, and discover what hides in their Cabinet of Curiosities. Watch the 13 episodes on Cirque du Soleil’s YOUTUBE channel or follow along on Facebook, Twitter and Instagram.